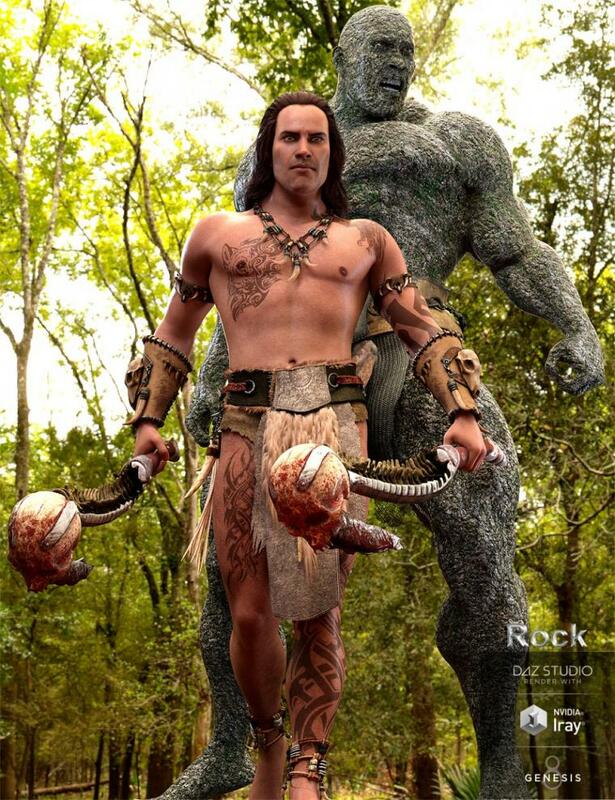 Rock is a strong stylized double character(human and monster) with original bodies and faces for Genesis 8 Male. He has head and body morphs (human and monster) and two complete textures. 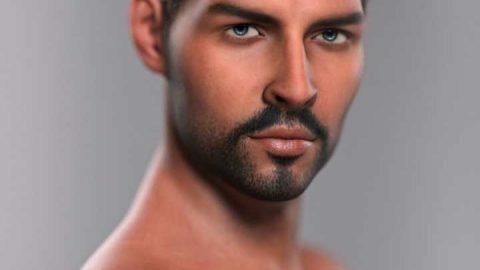 He has a complete Layered Image Tattoo set for the body and 5 for the face, so you can use not just on him, but in any other character or texture you want. The textures are Iray and 3Delight. Also comes with 03 different eye textures.